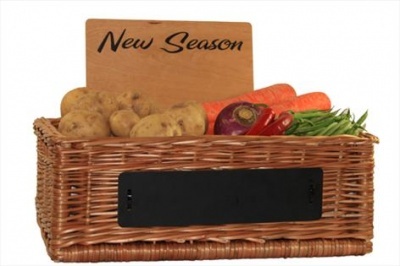 Quality point of sale sign created for the back of our Superior Catering and Display baskets. 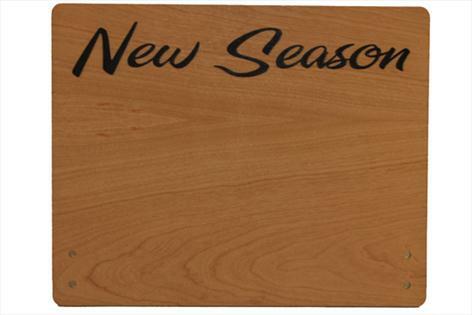 Each handfinished 4mm thick Cherry Wood plaque is laser engraved with the words New Season and infilled in black. Easy to position, attach and change using the cables ties supplied through pre-made holes. Raise or lower plaque according to height of stock. Measurements are 250mm wide x 200mm high.